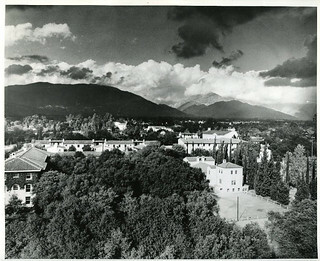 Named for Florence Carrier Blaisdell, wife of former president James Blaisdell, the horseshoe-shaped concrete structure housed 85 women within its Georgian-styled rooms. 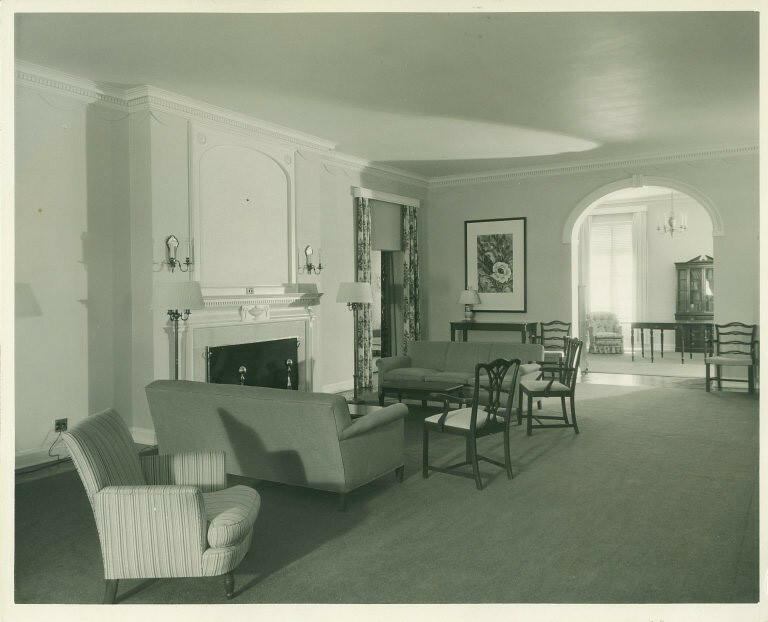 The interior decor and furnishings were described as striving for “an atmosphere of femininity” and blended mahogany furniture with carefully matched pink, blue, and white upholstery. A large recreation hall on the first floor became famous for its informal dances and social gatherings. In 1936, a western extension, also designed by Myron Hunt, was added to Rembrandt Hall. This contained an exhibition gallery with “modern picture hanging fixtures,” including walls covered in wire mesh and monk’s cloth, and a new ventilating system. 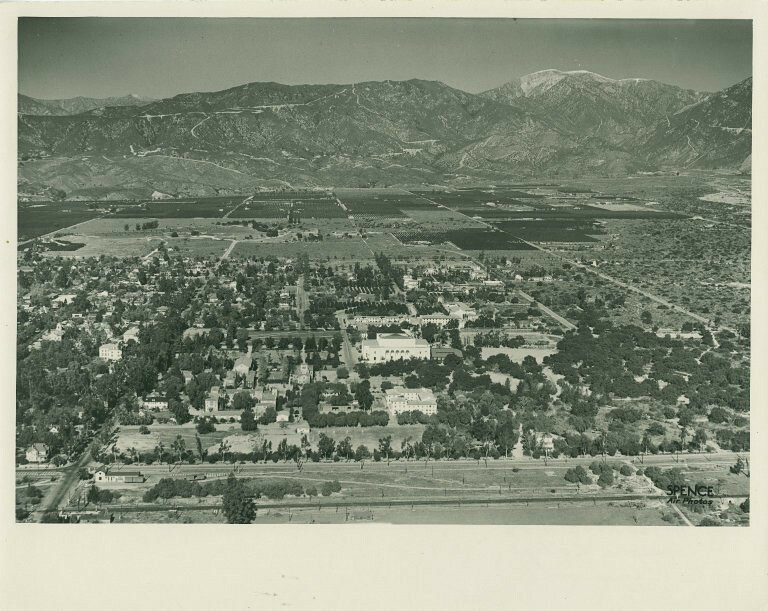 Pomona’s first Asian Studies program, called the Department of Oriental Affairs, was established in 1936, making it one of the first to be formed at an American liberal arts college. 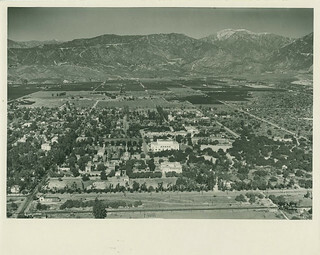 Beginning in 1932, Professor Ralph Story had offered a course in East Asia. With the arrival of Professor Ch’en Shou-Yi in 1941, the department became firmly established. Alan Cranston ’36 served four terms as a Democratic U.S. senator from California (1969–1993) and also served as the Senate’s Democratic Whip (1977–1991). He was a member of an infantry division during World War II and entered public service in 1959 when he was elected state controller in California. An early critic of the war in Vietnam and a vocal advocate of freezing nuclear arsenals, Cranston ran for the Democratic presidential nomination in 1984 but left the race after a weak showing in New Hampshire. He decided against running for a fifth term in the Senate after being reprimanded by the Select Committee on Ethics as part of the “Keating Five” scandal in 1991. After retiring from the Senate, he founded the Global Security Institute to further the cause of the total elimination of nuclear weapons. A coup d'état against the Second Spanish Republic launched the Spanish Civil War. In violation of the Treaty of Versailles, Nazi Germany reoccupied the Rhineland. African-American athlete Jesse Owens won the 100-meter dash at the Berlin Olympics.